Three weeks after Cyclone Idai ripped through Ngangu village in Zimbabwe, residents are still coming to terms with the devastation. Ulli Westermann, a development professional who used to work in the region in the ’80s, visited the village March 29. He saw people searching through the ocean of debris for anything salvageable. A huge log was blocking the home of Baba Muhamba. He slowly sawed away, equipped with only a handsaw. The village’s sanitation system was completely destroyed so people were going down to the tar road – now a running stream of unsafe water – to wash their bodies and clothes. Access to clean drinking water was also scarce. 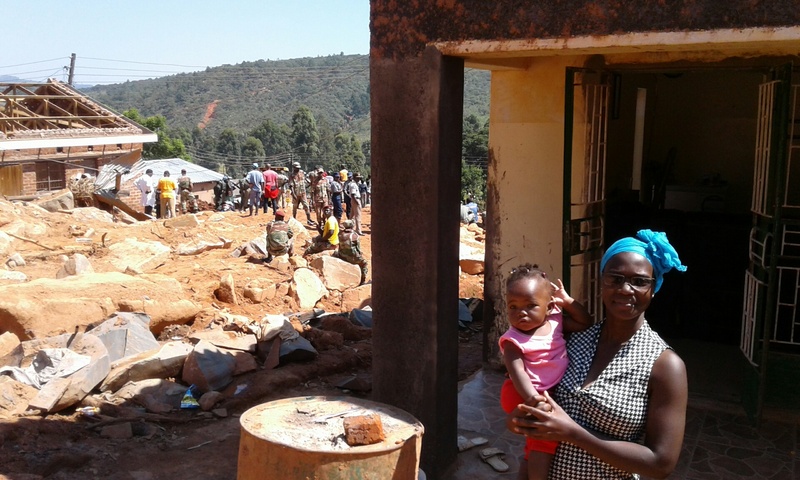 Westermann spoke with Adeline Banhwa, a liaison officer with a local NGO. The night of the cyclone, a mudslide sent a huge boulder through her family’s home. They were evacuated to the local school, but returned home a few days later because of the unbearable sanitation situation at the school. Now they were preparing to leave their home. “Here, we are living in a graveyard,” Banhwa told Westermann. As they spoke, another body was found just 50 meters away. Sniffer dogs were still finding bodies daily, even weeks after the cyclone. PWRDF partner TSURO Trust has been delivering supplies Kopa (Rusitu), Cashel, Charleswood, Biiri and other places that are often not reached by the World Food Programme and UN. For these, the army is now in charge of distribution. Relief consignments donated through Miracle Missions and the International Relief Committee, as well as emergency support through TSURO’s funding partners, including PWRDF, have allowed for lifesaving responses in these hard hit areas. A local resident, Baba Machingauta, said he was thankful TSURO was being so transparent in the relief food distribution, which is being done according to the Civil Protection Unit (CPU) schedule. Download and share this emergency response bulletin with your parish or community.